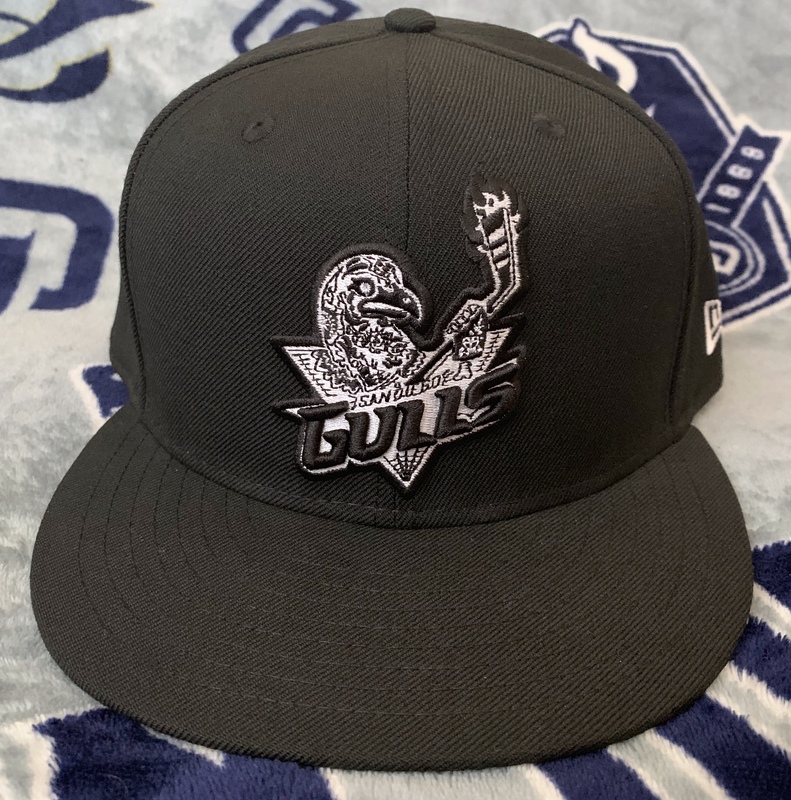 The latest release from our ongoing (and awesome) collaboration with local Chula Vista shop Billion Creation takes an awesome design from the local AHL franchise and applies it to a hat with great results. Our jaws collectively dropped when the Gulls decided to mix it up and come out with an absolute looker of a jersey design a while back: the ubiquitous Gulls logo was completely remixed into a Dia de los Muertos look. We collectively jumped over to the store to find no such luck on a hat with the design. The next idea was easy enough: why not make it with help from our partners at BC? We were just as surprised as anyone that the embroidery came out so cleanly on the logo. Most of the details found on the jersey logo can be seen here (albeit truncated for size). My favorite detail are the flames coming off the stick; I’m sure you’ll find something you like here as well! At the rear is the San Diego Gulls wordmark done in black and white. The underbrim and sweatband are black to match the rest of the cap. There’s only one place you can find this special SD Hat Collectors x Billion Creation piece, and that’s either in store or online at Billion Creation! I hear these are going pretty quickly, so snag yours when you can!